One of the best ways to protect your home or business is through a video surveillance system, which involves either NVR or DVR. You probably get stuck when you need to choose between NVR or DVR system for your installation. There have always been arguments over which one performs better but in this article, we will try as much as we can to break it down, and share our view on the two systems to explain to you what are the differences between a NVR and DVR video surveillance system. What are the other thing to know before switching to NVR? A DVR is an acronym of Digital Video Recorder. A DVR is basically a digital electronic device that converts the incoming video signal from an analog camera to digital, compresses it, and stores it. The DVR replaces the function of a multiplexor, quad or switcher. Unlike its predecessor VCR, DVR records a video output signal of an analog surveillance camera or any video output source, in a digital format on a disk drive. A DVR is simply regarded as a recording device, which allows you to have secured footage for future access. The hard drive will determine the retention period of video storage. This means the higher the hard drive size, the biggest the retention period. The DVR and security camera are both connected to the power outlet via their respective power adapters. The security camera, therefore, transmits an uncompressed video signal through the video cable back to the DVR video input port. Furthermore, the video is processed at the DVR via the digital signal processor before the final compression occurs on the hard drive. On the other hand, using an analog HD other than ordinary analog camera saves a lot of processing speed for the DVR, since the analog video signal has already been digitized on the camera’s DSP chip. The DVR allows you to view multiple security camera streams all at a time without the use of quad or multiplexer. Embedded DVR is a standalone electronic device which has its own resources such as operating system, and DVR software installed on the chip. Embedded DVR also has an independent hard drive to securely store recorded video data. The DVR has input/output options that are used to connect external devices such as display monitor, alarms, USB pen drive and so on. Embedded DVR is regarded as a pentaplex device which is capable of performing all functions at the same time. A pentaplex DVR would record, playback, network (view remotely), administrate and backup simultaneously. Embedded DVR is not susceptible to attack or damage. A PC-based DVR is a type of DVR which is integrated into a personal computer. PC-based comprises a DVR capture card which has inputs for analog security cameras, a computer motherboard, a video card, network interface card, and memory drive. A PC-based has enough hard drive bays that can host multiple hard disks for storage expansion. This type of DVR performs better than embedded DVR in a business environment, where a longer retention period of video storage is needed. HVR has an identical shape to that of embedded DVR with no noticeable difference. HVR is a combination of a DVR and NVR. This is often times mistaken as hybrid DVR, this confusion is brought about by some Chinese manufacturers, who produce a knock-off version of HVR and named it hybrid DVR. Hybrid video recorder costs more than the price of DVR because it is not designed for average consumers, except for business level. HVR allows you to run analog and IP cameras simultaneously using the hybrid option. An NVR is a computer device which has a dedicated software that captures encoded streams from IP cameras, and archiving on a hard drive. Unlike DVR, NVR manages all its IP cameras through network. NVR also contains its own embedded operating system, which makes it possible to record the encoded video streams from the IP cameras on the hard drive. Unlike DVR which uses the point-to-point connection, NVR communication protocol is rather simple. The IP cameras only need to be on the same network in other to stream to the NVR. This is why network video recorder is more flexible. The NVR simply stores the pre-encoded video streams from the IP cameras on the disk drive. This action is totally different from that of DVR. This type of NVR is good for homeowners who are just installing their first video surveillance. PoE NVR will save them from the complications of network configuration, and also from buying additional PoE switch. Embedded PoE NVR gives room for the plug-and-play setup and lets users use the proprietary network. PoE NVR requires PoE cameras for easy installation but however, the non-PoE camera can also work on PoE NVR but it is not advisable to go for them. Non-PoE cameras require additional PoE splitter per camera to separate the data and power. The costs of PoE splitters when summed will be more than to buy PoE cameras. The embedded PoE NVR does not need to connect to your existing network infrastructure. This type of NVR is not recommended for prospective users because it is not compatible with PoE cameras. In other to use it with PoE cameras, users need to buy an additional PoE switch which costs a couple of dollars, depending on the numbers of security cameras that need to be powered. Standard NVR is ideal in a place where there is an existing network infrastructure such as PoE switch. Also, using this type of NVR involves few configurations of IP addresses. Dealing with IP subnet might be difficult except you are a tech guy. Wireless NVR is another NVR which is popular on the market. This NVR eliminates dealing with network cable hassle, but the cameras must maintain close proximity with the NVR to avoid weak or bad signal. This is also ideal for prospective homeowners who are looking to install their first video surveillance system or users who want to expand their security. However, this is not completely wireless as you still need to feed the wireless security cameras with power, by connecting them to the wall outlet using their respective power adapters. 1) One of the physical difference is that the DVR has RS485 protocol, which controls a PTZ or speed dome camera while NVR does not. The NVR’s PTZ operation is done over the network and does not require any physical connection on the NVR. 2) DVR uses a coaxial cable for connecting to the cameras through a point-to-point protocol, but NVR uses Cat5, Cat6 cables, or wireless bridge. 3) DVR processes video data using its own digital signal processor, whereas NVR only stores the processed video data which has already been pre-encoded from the IP cameras. 4) DVR is used with analog or analog HD cameras, while NVR is used with IP cameras. 5) The image resolution on a DVR is very limited, but the NVR can support a higher resolution. The DVR is designed to capture video streams directly from the analog cameras and digitize them. The digitized video files are thereupon archived on the hard drive where they are now accessible to users. The basis for the NVR is totally different from the DVR. The video stream digitizing takes place at the origin, which is the IP camera itself. The encoded video files are only sent to the NVR for archive purpose. But after the video files are indexed on the hard drive, they are both available for playback, remote view and backup. Both systems involve modern technology, a Linux based operating system which is used for the entire operation with the help of video compression algorithm. The H.264 and H.265 being the standard video codec used in video surveillance equipment, are useful in managing the hard drive resources for efficiency. Cabling is the first stage of every wired video surveillance system. Only a wireless CCTV system eliminates the hassle of cabling. This is where you spend most of your time. In DVR, the coaxial cabling is used. There are categories of coaxial cables that can be used to connect analog cameras to a DVR such as RG 6, RG11, and RG59. Always make sure you select the compatible cable that will work with your video application. Selecting the wrong type of coaxial cable can have a negative impact on your video surveillance system. The RG59 Siamese is the industry standard cable because of its 2-in-1 function. This cable is able to provide video + power at the same time. The RG59 Siamese is used to connect the analog security camera on a point-to-point basis to the DVR. BNC connectors are attached to both ends of the coaxial cable. Cabling and connectivity on NVR are completely different from DVR. NVR utilizes an Ethernet cable which is used to connect devices having a network interface card. This cable connects cameras on the same network with the NVR, this is why the NVR is not restricted to a particular location. The NVR can be moved from one location to another if the physical security is threatened. 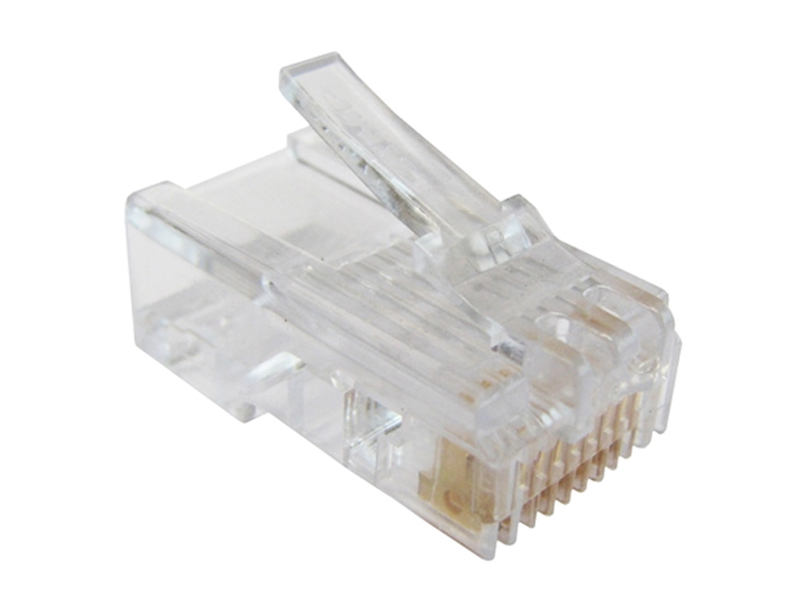 The connection of RJ45 modular plug to an Ethernet cable (Cat5 or Cat6) requires a little knowledge of networking, in order to properly terminate the cable. Users who don’t want to make their own custom cable can go with a premade network cable, which is sold according to length. The Ethernet cable may not be necessarily be connected directly to the NVR, unlike the DVR. The cable can be connected from the IP camera to either the PoE switch or router before arriving at the NVR. NVR only understands IP addresses, if the IP address is not in the same subnet of the NVR, the IP camera won’t be recognized. When it comes to system flexibility, we can only say DVR lacks the flexibility a video security system needs. Starting from camera mounting, the cable must be laid from the DVR location all through the camera point. The step is repeated for all the cameras which become tedious. The DVR system does not support creating a central hub where all the camera video cables terminate. The network video recorder is very flexible. As we mentioned earlier, you are not restricted to location when setting up your NVR. All that is required for you is to connect an Ethernet cable to the NVR and make sure all the IP cameras sit on the same subnet with the recorder. To manage your Ethernet cable, you can terminate all your IP PoE cameras to the PoE switch before connecting the uplink to the NVR. Image is what made up a video surveillance system. Video surveillance that has a poor or low-quality image is not worth the effort. Sometimes, audio with a DVR system is not achievable, because the user needs to get an additional cable to run the audio microphone from the camera to the DVR. Many DVRs only support few audio-in ports, this will be a problem for a user who wishes to record audio on each video input. As image signal travels on the coaxial cable path, the video tends to degrade if it lacks proper grounding. Also if the video cable is not properly shielded, there is a tendency that the security camera picks up interference which could cause grainy specks. The image and audio quality on an NVR remains intact, as this is a digital data and also processed on the network. The Ethernet cable is twisted to prevent interference from occurring. There is no form of degradation in the picture and audio quality of an NVR, except the IP camera itself, is bad. An IP camera with audio capability may not record audio if the audio is not selected in the camera’s user interface. DVR works with both analog and analog HD cameras. It does not require internet to work. Even though the analog camera’s performance is poor, there are analog HD camera technologies (such as TVI and CVI) that can produce much clearer images. The stress of installing the cable is appalling. The DVR’s features are too basic. The analog camera cannot be encrypted individually. The picture frame rate is so poor and the digital zoom is practically impossible. DVR cannot handle higher resolution like an NVR. More cable is needed to connect the analog camera to the DVR, especially if the audio or the PTZ control is required. Synchronous playback on DVR can sometimes cause laggy videos. It does not require the internet to work. Installing an NVR is relatively easy. Integration is easier with NVR. Video transmission from the IP camera to the NVR can be authenticated, this is the best way to prevent hackers from spoofing your LAN or wireless network. When there are certain areas to view on the monitor, the digital zoom is achievable. NVR is more scalable and flexible than the DVR. High resolution video and crisp images are available. You can connect the IP camera to your NVR regardless of the location. For example, IP camera from a branch office can be connected to the NVR at the head office remotely via the internet. The IP camera can be used as a standalone with a VMS (video management software) installed on a computer without an NVR. The more cameras you have on your NVR, the faster your NVR runs out of hard drive’ space. You may need to learn the NVR user interface as some are not intuitive. Not all IP cameras are compatible with NVRs. It is advisable to buy both IP cameras and NVR from the same manufacturer to avoid compatibility issue. A signal loss is common when running wireless NVR, wireless IP cameras operating on 2.4GHz tend to conflict with other wireless equipment running the same 2.4GHz frequency. As clearly outlined in the pros and cons section above, the two systems have their advantages and disadvantages. The DVR and NVR equally do the same job but one does it better than the other. When you are on a tight budget, a DVR system with analog HD cameras won’t be a bad idea. But when you need to upgrade your video surveillance system, we can’t advise you to remain on the same analog system. Even though NVR is quite pricey, we believe it will pay off in the long run considering the advanced features you will enjoy over a DVR system. We have had many clients complaining about their NVR lagging seriously at 6, 8, 12 cameras when connected to the main network at home and business. It is highly important to segregate your primary network from your video surveillance subnet when installing a standard NVR system. It is much easier when you have an embedded PoE NVR, you don’t really need to connect this to the main network, except you need to access the cameras over the internet. You need to create a VLAN (virtual local area network) if you are on a managed network. This way, you will be able to keep your computers, smart TVs, network printers, and VoIP phones away from using the same bandwidth with your video surveillance system. This does not only help your NVR to perform better, but also prevents your video surveillance system from crushing your entire network bandwidth. The more cameras you install on your NVR, the more bandwidth is consumed. You can reduce the cameras’ bandwidth by either reducing the resolution, frame rate or using motion detection. We want you to know that as technology is evolving by the day, so is the CCTV market too. New and advanced video surveillance equipment is released every time. One of the surest means of security is to install effective security cameras over your home or business. But it is better to have a sound knowledge about the two competing systems before buying. By now, we believe you have been enlightened about the difference between DVR (better for people on a budget) and NVR (go for NVR if you have the budget). Don’t hesitate to share this article with your friends to help them to also know about the difference. Leave your comment or question below and we will get back to you promptly.